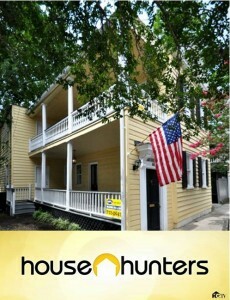 Cassina Listing Airing on House Hunters TONIGHT! Tune in to House Hunters tonight at 10pm and catch Cassina’s listing at 72 Vanderhorst Street in Charleston, SC –one of three featured properties! The HGTV show will take viewers behind the scenes of the home buying process as a New England couple searches for a vacation home in Charleston. Will they choose 72 Vanderhorst Street? Tune in tonight at 10pm to see!